Visit Our Manhasset Superstore for your Elliptical Today! Thank you Ana for your outstanding review and please refer us to your friends and family! I needed to buy a new elliptical machine after making a mistake and buying a previous machine through the internet. 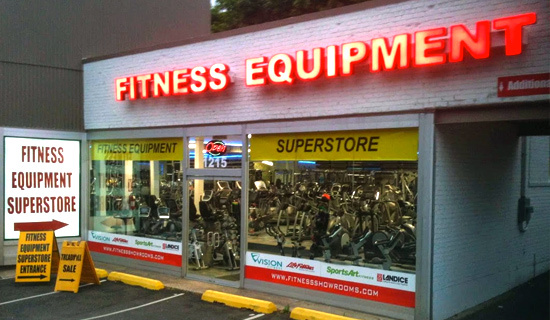 So I researched and found Fitness Showrooms in Manhasset. The store had a huge selection of quality machines, all different shapes and sizes. I was very impressed with the quantity available to be able to try and choose from. Damian Golding in the Manhasset store was great. He was very informed about anything I wanted to know related to the equipment. I highly recommend the Manhasset, Fitness Showroom Store and Damian Golding if you want quality equipment and a knowledgable person to advise and help you with the machines.